Cheryl Knight is nationally board certified and a member of the American Academy of Physician Assistants. She moved from West Palm Beach, Florida to Pittsburgh, Pennsylvania to attend Duquesne University for her undergraduate degree. In 2004 she graduated from Chatham College with a Master’s in Physician Assistant Studies and moved back to the Sunshine state. Prior to working at Riverside, Cheryl has over 12 years of experience as a physician assistant teaching patients how to live healthier lives. 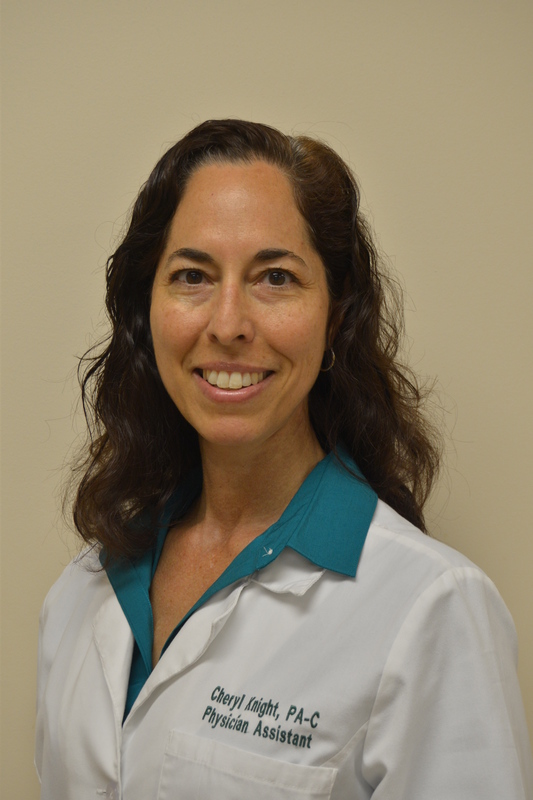 She’s been an integral member of Dr. Kornick’s team since June 2017. Cheryl loves spending time with her husband, their son and granddaughter. She also enjoys traveling, swimming, SCUBA diving, snow skiing, digital photography, and performing with the Clay County Community Band.